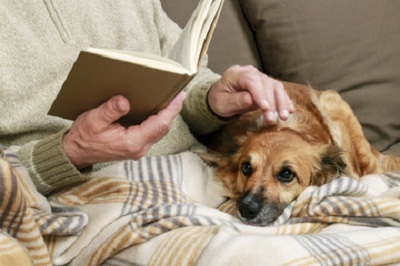 Senior dogs need special treatments as their needs are different than the pups and adults. Hence they need special care and pampering when they tend to age. Some breed of dogs can become a senior while they are 5 to 8 years old while smaller breeds can stay young for even 10 years. You can make your four legged friend stay healthy and active even when he ages by offering him good care and attention. As your dog ages, he needs lots of nutrition to support his ageing process and perform his day to day activities. Giving him healthy and nutritious foods during his senior years would be highly helpful to fight the ageing signs, remain active and stay playful. You can also discuss with your vet to know which diet type is better for your breed and try including such foods in his diet. You will also find some special formulas for senior dogs that will help them overcome some common problems. Though your aging dog can become a bit slow, it does not mean he doesn’t need to exercise and rest on the couch instead. If you want your pet to stay healthy and alert physically and mentally, then you must make him exercise. You need not take him for long walks like you used to do but short and smaller strolls would do well. This would also prevent your senior dog from adding up on extra pounds and help him stay lean. When your dogs get older, they can accumulate weight faster as they are not much active. Adding up on pounds during their old age can be taxing for their joints and bones which in turn would create lots of body pain and joint stress. Senior dogs can develop any kind of medical issues within a short period and hence visiting your vet at least once in three months is recommended. This would help your pet overcome many issues such as kidney problems, heart diseases, liver dysfunction, diabetes and arthritis. Your vet would also advise you to look out for some common symptoms for few conditions to detect fatal issues much faster. Neglected teeth among senior dogs can be a fatal issue as it can cause tartar build up and gingivitis which can trigger bacterial formation in your bloodstream and cab wrecks the vital organs of your dogs. Follow a regular brushing pattern at home and have a teeth cleaning session each year. When you take care of your older dogs with these 5 tips for caring for senior dogs you can be assured that they will stay happy and fit during the old age.